After-school is a great time to help young people build their social and emotional skills, and their sense of social responsibility. 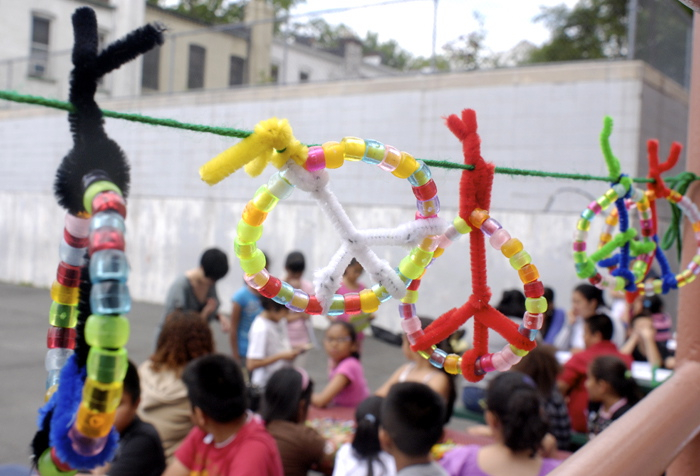 Our three PAZ after-school programs serve about 500 K-8 students in Brooklyn and the Bronx. Each year, we also provide workshops for hundreds of staff from other NYC after-school programs. Evaluators from New York City's Department of Youth and Community Development rate the quality of our PAZ after-school programs as "far above standard" in program practice, compliance, and administration. Surveys of after-school students engaged in our C Squad curriculum found increased levels of trust, empathy, optimism, critical thinking, perseverance, and academic motivation. 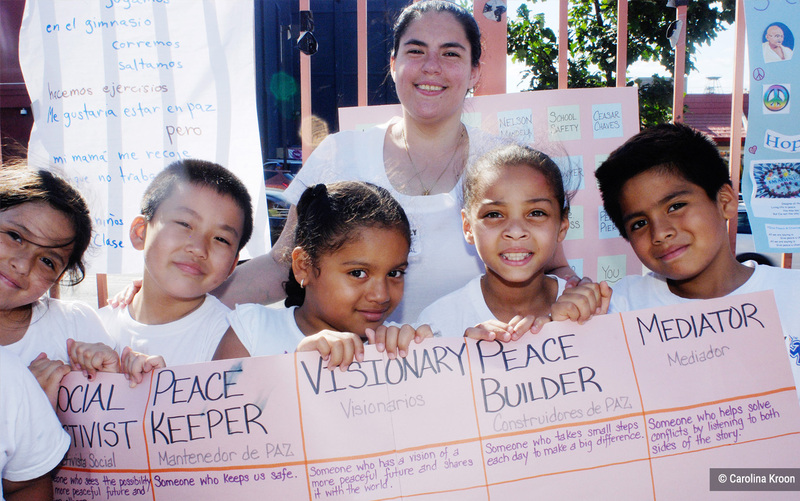 We operate three PAZ after school programs that focus on social and emotional learning (SEL). We facilitate engaging SEL workshops for the staff of after-school programs that are part of NYC’s Department of Youth and Community Development (DYCD). All three PAZ programs combine a rich menu of after-school activities (including the arts, science, sports, community engagement, and academic support) with a strong focus on building social and emotional skills and fostering a sense of social responsibility. Our PAZ after-school programs help young people in Brooklyn and the Bronx build their social and emotional skills, do better academically, and have fun! Every PAZ program engages students in the arts, physical activity (from dance to sports), and community engagement projects. Students also get lots of homework help. 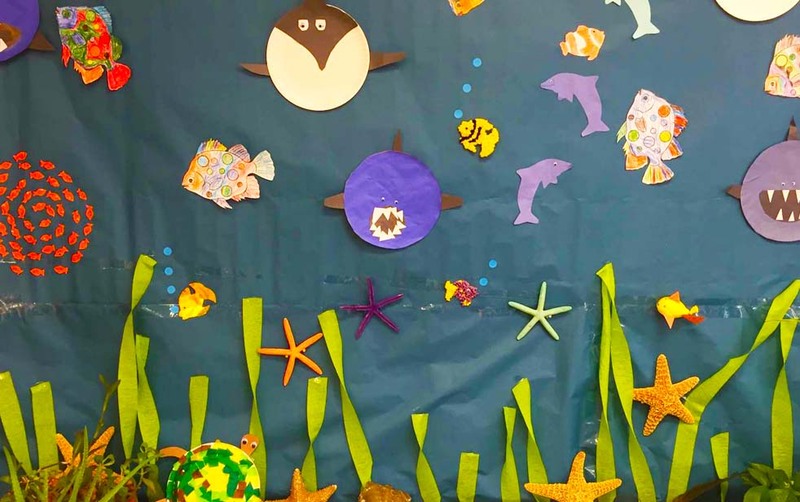 Morningside Center shares what we've learned about fostering social and emotional learning in after school through workshops for staff from after-school programs across New York City. I have been in PAZ for four years and I love it. I am leader in mediation. I would like to be able to visit the program after I graduate and volunteer. PAZ is really important to me because I get to help first-graders and kindergartners with their homework. I also get to learn new things and express myself.